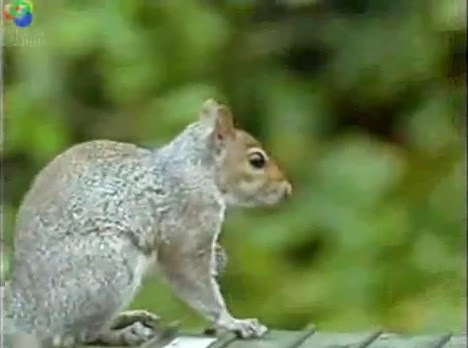 Older Daughter introduced me to this wildly funny squirrel video clip. 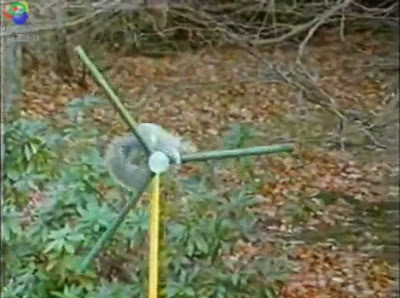 Apparently an English couple was feeding nuts to wild squirrels when they decided to see how well the critters could handle an obstacle course to get to the nuts. They added a new obstacle each week. 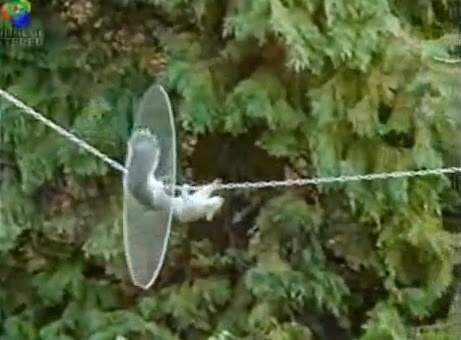 A friend wanted to stop the squirrels from getting the bird feeder so he spread axle grease on the pole. It worked for a hour until a squirrel went and rolled in his kids sand pile and climbed the pole. hey there Patrice and family, my fellow spudds!